The world’s party that is WOMAD is coming to the capital, bringing the explosion of global music, colour and culture from the lush fields of Wiltshire to London’s iconic Southbank from 11 – 13 August as part of the National Theatre’s acclaimed River Stage Festival programme. Making its River Stage debut, WOMAD have curated an entire weekend of music and dance from all four corners of the globe; the line-up boasts Afro Cluster, who will be bringing the afro-funk and hip-hop rhythms mashed up with impassioned, politically conscious lyrics and Mr Benn ft. Souls Liberation and Bongosanwhose jungle and high-life rhythms will get the London crowd jumping. The weekend also sees a plethora of workshops, including Jamaican dancer and choreographer Ripton Lindsay and his Jus Dance Workshop, a fun and energetic class for all the family combining a mix of his traditional Jamaican dance moves as well as reggae, calypso and creative movements, and UK beatboxing champ Grace Savage with an immersive beatboxing experience where everyone can learn the basic skills, jam with Grace and even have a go on the mic and a workshop and performance from NIMBA, an energetic and acrobatic display of West African dance with astonishing accompanying musicians on the balafon and Fulani flute, culminating in the most frenetic and physical history lesson you’ve ever sat in on. Other incredible performances include Msafiri Zawose, Tanzania’s charismatic Gogo innovator and his five-member group, genre-defying AKA George showcasing his reckless, passionate and inspiring stage presence, the UK’s pioneering Indian-style brass band The Bollywood Brass Band, Sudani Jazz Diva Amira Kheir, Balkan brass, Mediterranean surf rock, ska and swing fusionists Gipsy Hill and dancehall king Movimientos, who will be bringing his trademark blend of red hot classic Latin beats, up-tempo carnival rhythms, tropical bass and fresh global sounds to the party. WOMAD Festival, the acclaimed international arts festival, makes its River Stage debut with a variety of music, arts and dance. Chris Smith, Director of WOMAD, said “WOMAD celebrates diversity, togetherness and sharing cultures across borders so it is perfect for us to collaborate with the National Theatre’s River Stage, showcasing some of the best global acts in the most varied, buzzing and colourful city on the planet. We are delighted to be bringing a splash of colour and the funky festival vibes from WOMAD to central London and to work with such a prestigious institution as the National Theatre”. 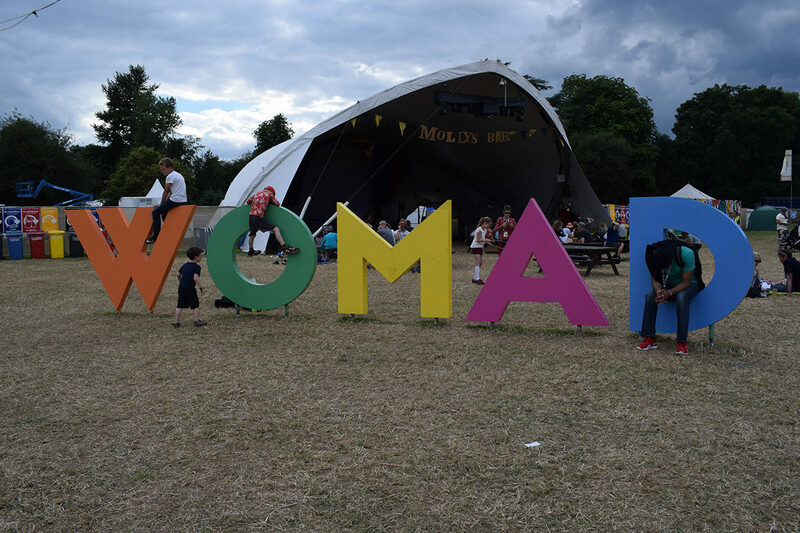 Alongside some of the UK’s leading arts and culture organisations including The Glory, HOME, Manchester, Rambert and the National Theatre each ‘take over’ the River Stage for a weekend throughout July and August, with WOMAD’s weekend being 11 – 13 August.